Gurugram Traffic Police E- Challan: Haryana's one of the largest city Gurugram, So it is clear that the Gurugram Traffic Police system is too large. Gurugram is the first city in the country to start the online Traffic E-Challan System in North India. Gurugram Traffic Police provide a full booklet of challan rate list to riders. If you break the traffic rule then make online payment of the fine on the Gurugram Traffic Police official website. Gurugram Traffic Police uses Challan system to avoid road accidents and to make rules. 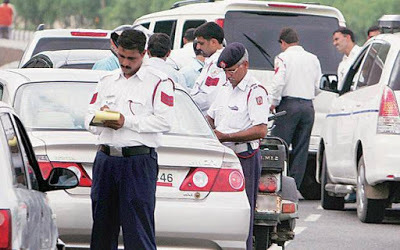 How much is the fine to break the Gurugram Traffic Police rules, you will know in this post. The list of payment options available is internet banking /debit card payment/credit card payment from banks that are listed when selecting each of the above options. Fill all the required details like as name vehicle no email address and mobile no. In the next webpage, you will see your challan amount now pay it. If you have been wrongly invoiced, then you can complain to the given numbers below.